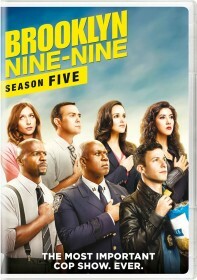 FOX has released the synopsis for the December 14 episode of Brooklyn Nine-Nine, the last original episode of 2014. As previously announced, Nick Cannon guest stars as Marcus, Captain Holt's nephew, in this episode. "Stakeout" - Jake and Charles' bro-mance starts to crack when they volunteer for an eight-day Stakeout in very close quarters. Meanwhile, Captain Holt's nephew, Marcus, comes to Brooklyn and captures Rosa's attention.